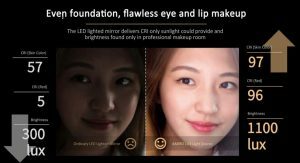 Amiro, a lighted makeup mirror brand, just raised a 10 million yuan Pre-A financing round in October led by Xiaomi’s Shunwei Capital. 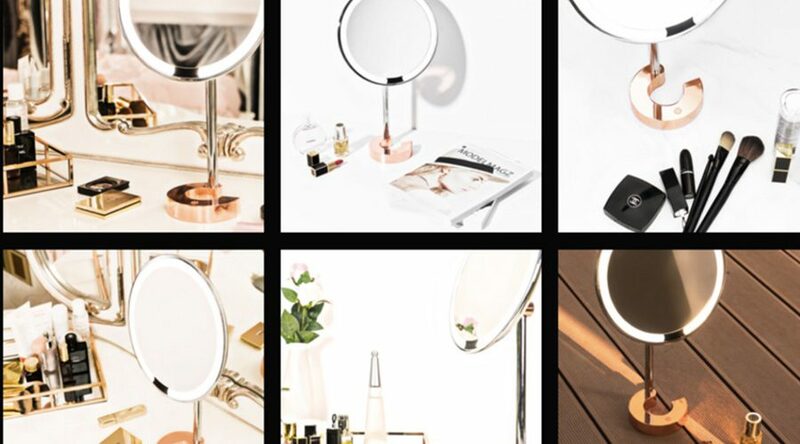 Amiro, a lighted makeup mirror brand, just raised a 10 million yuan Pre-A financing round in October led by Shunwei Capital that’s partly owned by Xiaomi. The market for desktop makeup mirror is never at the heart of our attention. 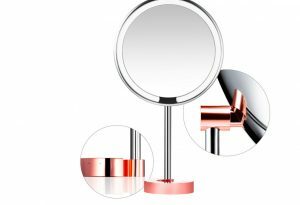 While the Global Supply Chain’s data shows that about 80.5 million desktop makeup mirrors were sold in China in 2016 alone, there’s barely any market research report regarding the sector. The LED lighted makeup mirror has started to win the customers’ favors on the international market (mainly developed countries) since 2012. Its sales increased every single year, reaching 1.5 million, 4.5 million, 13.5 million, 27 million and 30 million respectively from 2012 to 2016. In 2016, Wang Nian’ou, who was working in an operation design company at that time, conducted a market survey on LED lighted makeup mirror in China. The survey showed that about 1.05 million LED lighted makeup mirrors were sold in China in 2015. In other words, China was probably standing at the similar point as the 2012’s international market, when LED lighted makeup mirrors were about to go mainstream. Wang Nian’ou didn’t want to miss out on this huge market. In July 2015, he assembled his team in Shenzhen and dived into the development of Amiro. The idea was to create a LED lighted makeup mirror to mimic natural lights. By now, they have achieved core technology development on LED light source, leading to a mass production of Amiro C and Amiro O. According to the team, 15,000 of those two products were sold on Chinese Singles’ Day. The company racked up a record-breaking 5.8 million yuan in sales on that day alone. To achieve that, both the mirror’s CRI (color rendering index) and brightness have to be refined. CRI is used to measure if a mirror can reveal the colors of various objects faithfully. Lower CRI leads to less accuracy. Currently, the CRI of mirrors in the Chinese market all swing between 50 and 70 (the maximum: 100), while Amiro has pushed its CRI to 95.4 with its innovative technology. Brightness also plays an important role to the mirror’s clarity. With perfect lighting, you won’t miss even the smallest skin problem and can avoid a makeup disaster. When tested at a 10cm distance from the mirror, most makeup mirrors in China produced a luminance between 150lux to 300lux, while the Amiro makeup mirror generated a luminance as high as 1,100lux, which is way ahead of most makeup mirrors. Amiro C (metal and rose gold finish), the first generation of Amiro, is priced at 799 yuan. Amiro O (hardened ABS), which was released in September 2017, is sold at 399 yuan. Its pricing strategy indicates that it’s eyeing the middle market that’s yet been fully filled. This is a good entry point considering that the high-end market is now largely dominated by well-recognized overseas brands like SimpleHuman (the price of its LED lighted mirrors is above $200) and the low-end market is flooded with copycat products which are priced below 200 yuan. A company won’t go far by relying on a single product line and category, and Amiro is trying to avoid that through constant innovation. If everything goes as planned, Amiro will launch two or three more Amiro Lux HD Lighting Mirrors in the next year. The new mirrors will be priced differently to target customers with different degrees of price sensitivity. It hopes that, by then, its makeup mirror package will have won the hearts of all its target customers and will start bringing in profits. As for category, Amiro is currently thinking about venturing into beauty apparatus sector. We can’t go into more details about this as it concerns its trade secret.